Spyder's Twilight Ski Jacket emanates on-mountain performance and makes good on the promise. 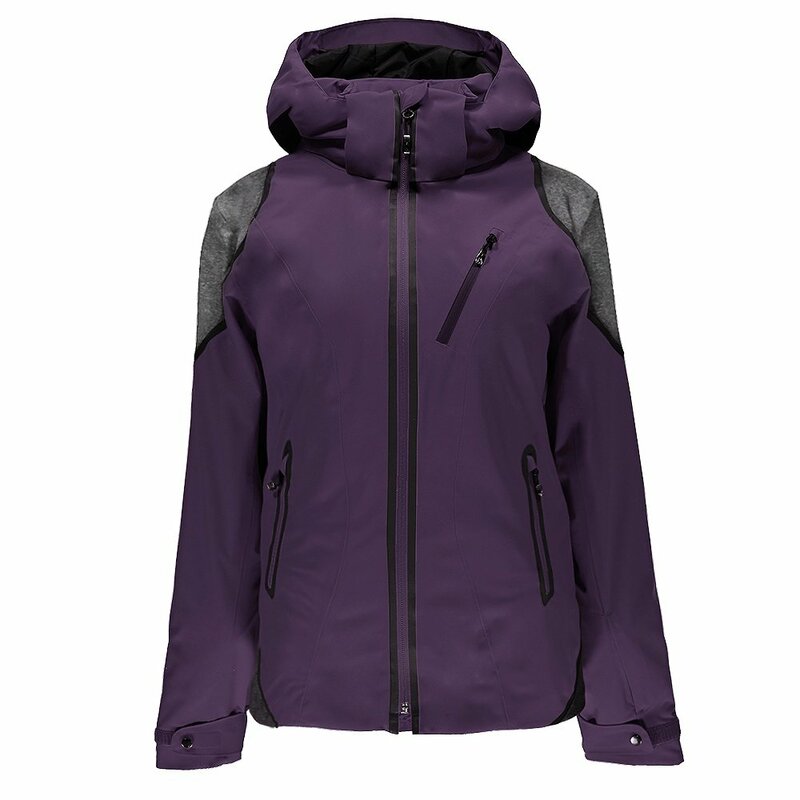 Its stretch shell fabric empowers free, athletic movement while providing robust waterproof-breathable coverage. Contrast panels on the shoulders sides and back lend a rugged, performance-focused look that separates the Twilight from other jackets on the rack. Watertight AquaGuard® zippers, fully sealed seams and a removable powder skirt seal up any and all possible moisture entryways. An internal mesh goggle pocket is nicely complemented by a chamois lens wipe, taking care of your eyewear for better visibility.